App store optimisation is like sailing a great racing yacht. The fundamentals need to be right if you want to be in the competition at all: the icon, the description text, the screenshots, the video. But if you want to win? Well, then you need to be reading the sea and the breeze and making constant fractional adjustments to pick up every ounce of advantage. Here are some tricks and techniques that, we've learned from experience, work right now. But be warned. The winds are fickle in ASO and we can't guarantee they'll all work next week or next month. Talking of competitive sport, there are only 100 characters in an iOS keyword string. Some queries, like "simulation game", are highly competitive and you cannot always expect to do well with them. A good alternative may be to go for more specific queries: medium- and long-tail keywords. 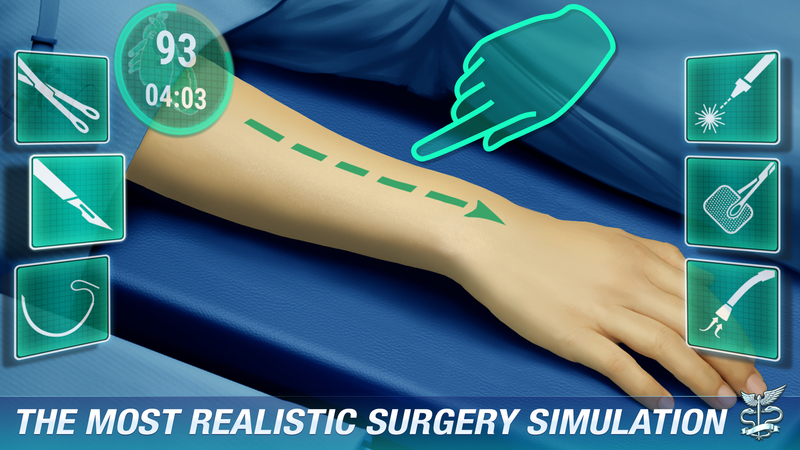 We chose "surgery simulator" for our game Operate Now: Hospital, for example. But you can change the keyword string when needed, adapting it to circumstances. Apple's algorithm takes install velocity into account. At times when you're seeing increasing volumes for your game, you can afford to be more aggressive with your keywords and that will boost its position even more. The most predictable time that install velocity increases is when you're investing more in paid user acquisition. So you need to sync up with your paid UA team. If they do a burst campaign or are increasing budgets you can be pretty sure install velocity will shoot up and you might, temporarily, be competitive with a short-tail term like "simulation game". That should allow you to pick up a much bigger volume of search traffic and your game's visibility will improve. When the paid UA burst ends, you need to reset your expectations with the keyword string as your install velocity is likely to drop back down. Apple's Search Ads allows you to increase the visibility of your game in the App Store. Soon after a game goes live, using Search Ads can help tailor your overall approach to keywords. Once you start paid activity with ASA, you can see how profitable your keywords are with post-install data. This allows you to get a good idea of the quality of the users coming in for each keyword you use. You are effectively testing the power of different keywords. This information can then be used to tailor your organic keyword string. For example, those with the best ROI are also likely to be the best performers in organic search. Usually your URL package includes basic stuff like the name of the game and the publisher. For example, the package name for Operate Now: Hospital is com.spilgames.OperateNow2. We noticed that the URL could be taken into account for search ranking in Google Play. That said, there is nothing to stop you including keywords in the URL and that will give your search an additional edge. For example, we could use com.spilgames.operatenowsurgerygame and that would give us an edge for searches on "surgery game". A strong video is important for your app store page. Optimising the video poster frame can make a difference in page conversion, so testing is essential. It is likely that you will prioritise the icon, the short description and screenshots in your A/B test plan, but you shouldn't forget the video poster frame. Changes in the structure, images or the call to action can result in significant gains. Localisation is incredibly important to app store optimisation. People simply respond better when you communicate in their language and on their wavelength. The language part is relatively easy, but what's tougher is tapping into the cultural differences between regions. There are quirks in the way we express ourselves (and how we respond to app store descriptions) that come from where we grew up. At Spil Games, we are lucky. Out of 180 staff, we have 28 nationalities. That means we can tap into the cultural differences simply by talking to different people over lunch in the company restaurant. We have French and Spanish natives on the ASO team and if we want to know how an American will react to something we plan, we go and talk to Scott, our PR guy, who was brought up near San Francisco. In a perfect world, you make everything perfect for your game. But in the real world you have to prioritise. The screenshots in the app store page are vital to engaging users and they are a good example of choosing where to put your efforts. The left-most screenshot has a much bigger impact than the right-most (as it involves scrolling, a lot of people won't even look at the right-hand screen shot). So put your resources into getting the first two screenshots working perfectly. At some point, you'll want to test and improve the rest, but you'll see a smaller benefit so you should prioritise other things first.